At this point, I think I'm the only person that knows the movie exists. I have never seen or heard anybody speak about this movie ever. Like nobody. Not even the friends that love that random stuff. I can't be the only one that knows that "30 Minutes Or Less" exist. Which is funny since the movie made 40 million. Why the budget was 28 million is the real heist. Cause if you have seen this movie, you know that 28 million is not used or spent. This was before they all were big famous I would say. Anyways. I watched the movie and love it. Not gonna lie, it was funny as hell. (You can buy it here). After watching the movie I did what I normally do. I went to Wikipedia. I love to read. So As I'm reading about the movie and not really finding anything to stand out I get to the end. The same end that's here today is there in 2011. Brain Wells. "The plot of the film bears a resemblance to a real-life bank robbery gone wrong that resulted in the death of Brian Wells in 2003. 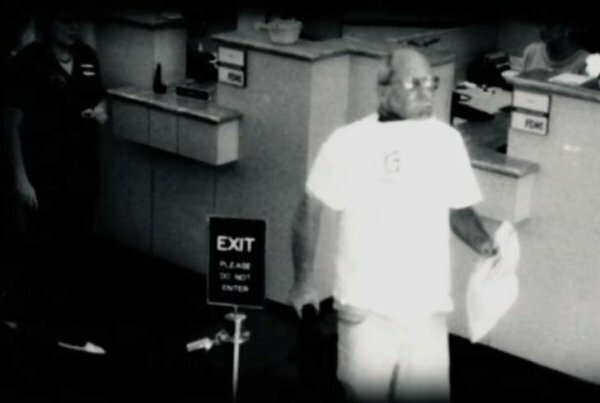 As with the film, Wells was a pizza delivery man who was forced to wear a bomb and then robbed a bank under orders from plot's mastermind in an effort to have the bomb defused.Additionally, an investigation found that the motive behind the robbery was for Marjorie Diehl-Armstrong, the convicted mastermind, to use the stolen money to hire a hitman to kill her father and receive her inheritance, also like the film. Unlike the film, however, Wells was killed by the bomb after being caught by the police. Despite the similarities to the case, Sony Pictures Motion Picture Group said the filmmakers and cast had no prior knowledge of the incident, while the screenwriters were "vaguely familiar" of it. Nevertheless, the film drew criticism from Jean Heid, Wells' sister, and Jerry Clark, a former FBI agent who witnessed Wells's death and led the case's investigation." I had the same reaction you probably had. So I clicked the link and I'm reading about it and it seem like with each sentence, the crazier the story got. Brian Douglas Wells (November 15, 1956 – August 28, 2003) was an American man who died after becoming involved in a complex plot involving a bank robbery, a scavenger hunt, and a homemade explosive device. He was killed when the explosive collar that had been forcibly locked onto his neck, as part of the plot, detonated while he was in police custody in his hometown of Erie, Pennsylvania. Investigated by a task force led by the Federal Bureau of Investigation in conjunction with the Bureau of Alcohol, Tobacco and Firearms and the Pennsylvania State Police, it was described as "one of the most complicated and bizarre crimes in the annals of the FBI"
Now I don't know if you have this long list of random fears but I do. This went right to the top. I never had any plans of being a pizza man but this makes sure that would never happen cause hell nah. You think you delivering some pizza and the next thing you know, it's a bomb strapped around your neck. I think I'm killing this so far with telling you while not telling you. So let's end this strong. 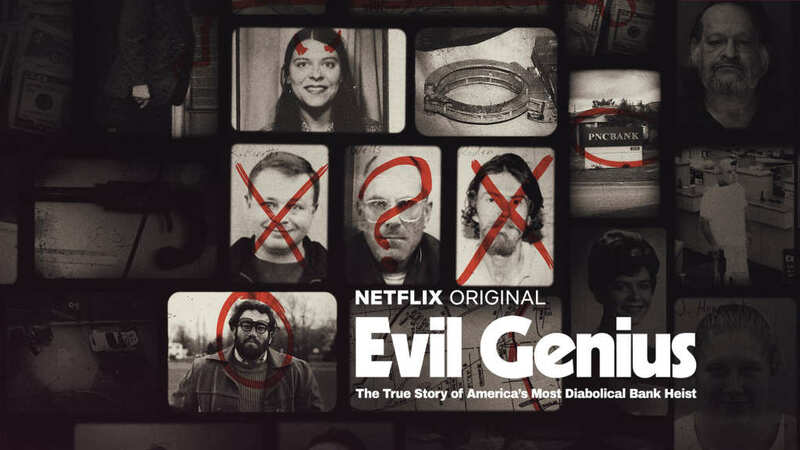 Evil Genius: The True Story of America's Most Diabolical Bank Heist premiered on Netflix earlier this month and ever since, debate has raged about the show's ending. 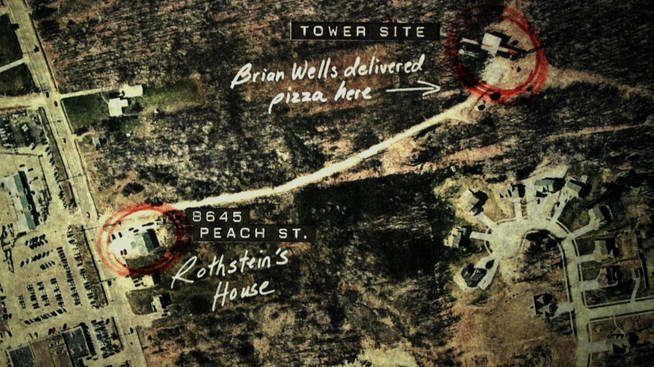 The four-part true crime documentary series followed the Pizza Bomber case, which saw pizza delivery driver Brian Wells rob PNC Bank in Erie, Pennsylvania whilst wearing a collar bomb which exploded and killed him following his swift capture by police. Whilst trying to uncover the mastermind behind the plot and the designer of the bomb which took Wells' life, watch now on Netflix. Leave your thoughts in the comments cause I wanna talk about all this.